Northshore Superintendent Dr. Michelle Reid visits an After School STEM Academy session at Cottage Lake Elementary. Now in its fourteenth year, the After School STEM Academy (ASSA) promotes hands-on STEM (science, technology, engineering, and mathematics) learning experiences in an afterschool environment. 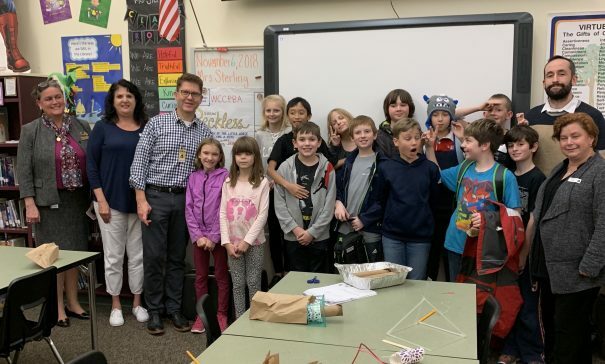 Using an engaging curriculum and everyday materials, local industry professionals volunteer their time to lead one-hour lessons that reinforce STEM concepts to students in grades 4-8 after school. In each session, over 150 volunteers participate in the program. Resources for current volunteers can be found here. The following video provides an overview of the teacher’s role in hosting a session of After School STEM Academy. A video training for industry volunteers can be accessed from Volunteer Resources. 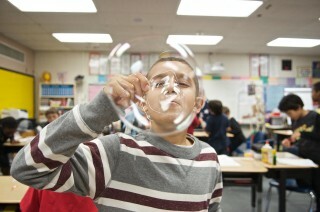 For more information on how to participate in the After School STEM Academy, contact Eva Dunn at eva@wabsalliance.org.